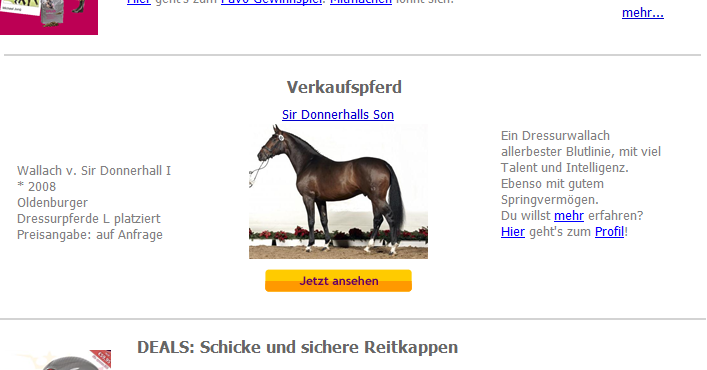 Next to the usual advantages of the rimondo horse market there are some more options to present your horse in an optimal way. You can get a general idea of all upselling options below. Your advertisement is shown to more potential clients with a higher findability. 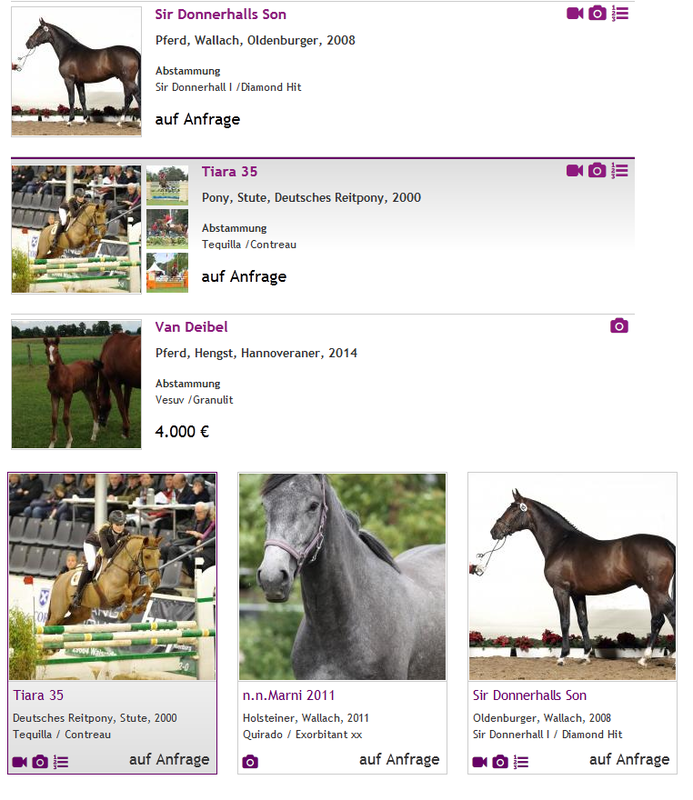 ♦ Top-horse in the menu point "horse market"
Advertisement in the Pferdemarkt-supplement of the international journal Reiter Revue, with a reach of 326,000 readers per issue (AWA 2014). Draw attention to your advertisement!